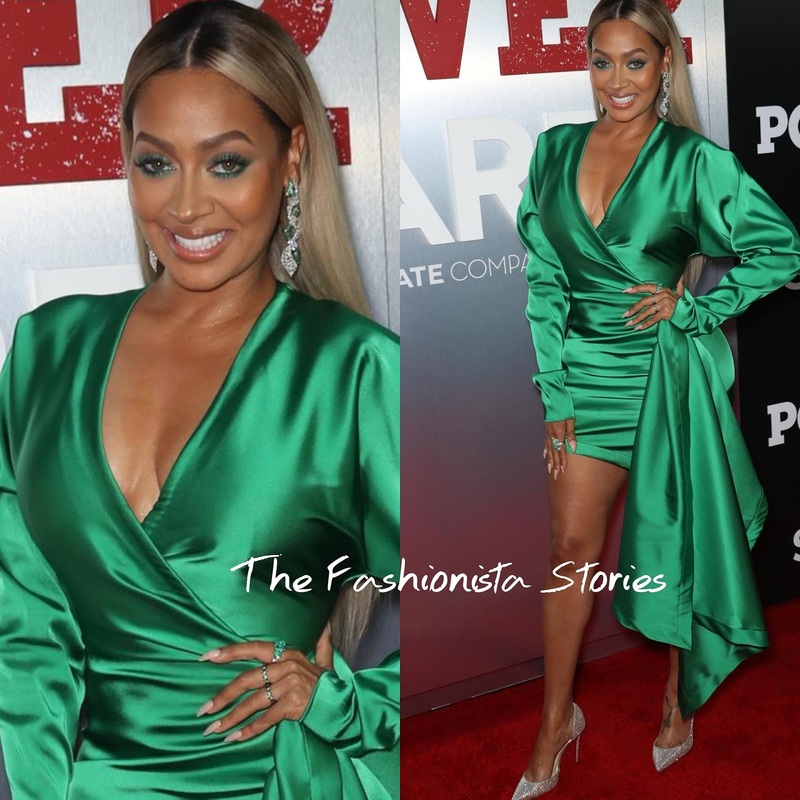 Following her GMA appearance, La La attended the season 5 premiere of the Starz hit tv show 'Power' yesterday evening(June 28th) at Radio City Music Hall in New York. Showing some leg, she worked a GRETA CONSTANTINE long sleeve green silk mini dress with a v-neckline and a side, front draped panel. While I am not loving the fabric or the sleeves, the color is perfect. Playing off of the hue of her dress, she accessorized with green stone diamond jewelry courtesy of LORRAINE SCHWARTZ. She finished up with a flawless beauty look and sparkly pumps.